Roger Stone, who is a longtime associate of Donald Trump was arrested by the FBI on Friday morning. According to CNN, Stone has been indicted on seven counts: one count of obstruction of an official proceeding, five counts of making false statements, and one count of witness tampering. Uniformed and armed law enforcement officials raided Stone’s house in Fort Lauderdale, FL just after 6 a.m. ET. Stone has long been an informal adviser to President Trump. He describes himself as a “dirty trickster,” and began his career as a campaign aide for Richard Nixon. He has long maintained that he had no connection to any Russian tampering in the 2016 election, at times even going as far as daring law enforcement to find evidence linking him to the investigation. In numerous interviews and social media posts, Stone indicated he was a conduit for information from inside WikiLeaks. He even implied that he had personally spoken to Julian Assange, the founder of the WikiLeaks website. Last year it was revealed that Stone had been messaging on Twitter with an account used by one or more Russian intelligence operatives tasked with stealing information and funneling it to WikiLeaks. 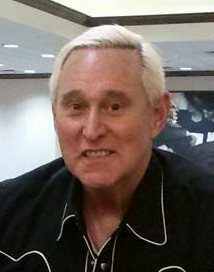 When Donald Trump announced his campaign for the presidency in 2015, Stone was one of the first people brought onto the team. However, he left after a public dispute with Trump a few months later. He remained an informal adviser, speaking often with Trump via phone. This is an evolving story and will be updated.